A hundred years ago people took to the streets of the UK to celebrate the end of the Great War after four long years of desperate fighting abroad and untold hardship at home. In Cheltenham, as in every other town and city, there were parades and parties on the 11th hour of the 11th day of the 11th month, to mark the Armistice. 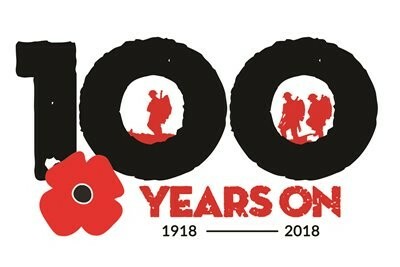 And next month, a century later, the town will be remembering that extraordinary day again in a special community-led production called 100 Years On, led by the Everyman Theatre’s creative director Paul Milton. “I’m directing it and yes, I’m sweating about it, but it should be great. It’s featuring so many different people and groups from the community,” he said. Altogether, there will be 150 on stage, including members of the youth theatre and community choirs, drama students, professional actors and the Cheltenham Silver Band. Oh, and poet and national treasure, Pam Ayres. It’s no wonder he’s a bit stressed, but in fact the production is in safe hands: Paul has a lifetime in the theatre behind him, including working at the Everyman for the last 10 years. He’s also, in his time, been an actor, choreographer and drama teacher, as well as overseeing the theatre’s Education and Community department. If anyone can make a success of such an ambitious project, Paul can. Hailing from Worcester, Paul started out in the theatre as a jobbing actor and performed at the Everyman for the first time in 1986. One of his roles is overseeing everything and anything that happens in the newly-refurbished Irving Studio Theatre, named after the former Cheltenham MP Sir Charles Irving, but that’s just one of his many roles. “I also oversee the Education and Community Department that engages with schools, colleges, universities and the community, and I deliver a module for the University of Gloucestershire’s creative writing course. “I’m responsible for the Everyman Actors’ Lab that meets once a month to provide a network and training facility for professional performs living in the south west, as well as the Everyman’s Writers’ Lab which is a similar thing for playwrights in Gloucestershire area. “And, of course, I also direct plays.” In his ‘spare time’, presumably. As part of his E and C role, he is spearheading a four-year plan called The Brain Project, an umbrella title for different types of workshops to do with mental health issues, including dementia, social anxiety with young people, literacy and numeracy in schools, and work with the National Star College. Then there are the community choirs; eight of them in all with a total of around 200 singers. “Our latest choirs are with the Isbourne Centre for young people with social anxiety issues, and another with staff from the Sue Ryder hospice in Leckhampton,” said Paul. And if all that makes you want to go for a long lie down, the department he runs is also committed to doing about six co-productions or commissions in the studio theatre each year. Two such projects are involved with the First World War commemorations: 100 Years On, and a play called On The Mend, about the Voluntary Aid Detachment hospitals in Cheltenham during the war. The tour will run for just a week and features both professional and community actors and will be free to attend. Visit www.everymantheatre.org.uk or ring 01242 572573 for more information or to book.